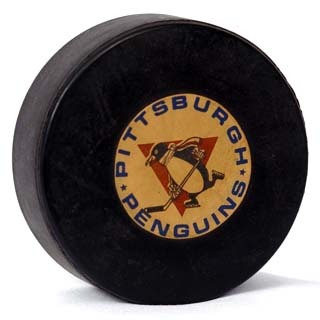 Early Pro HockeyWas First Pro game held in Pittsburgh in 1901? Yellow Jackets (USAHA)These amateurs dominated and then morphed into Pittsburgh’s first NHL team. Pirates Hockey (NHL)Pittsburgh’s first NHL team in 1925. Five years of sub-par hockey and The Great Depression doomed this team. Shamrocks (IHL)The Shamrocks ironically had their fate sealed when the 1936 St. Patrick’s Day flood crippled the city. 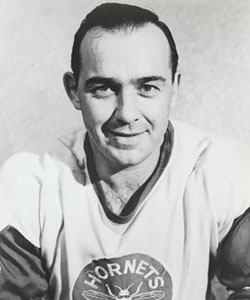 Hornets (AHL)26 seasons of pro hockey excitement at Duquesne Gardens and Civic Arena, before giving way to the Penguins. Knights (MAHL)Pittsburgh’s entry into the Mid Atlantic Hockey League, where the Rizzo brothers played with football star Johnny Unitas. Phantoms (RHI)Roller Hockey in 1994 and featured Hall of Famers and the first woman to play professional hockey in Pittsburgh. High Schools & CollegesLinks to all of the youth, high school and college teams that call Western Pennsylvania home. Don’t see your team listed? Let us know! Mark Recchi will add to his NHL legacy when he is enshrined into the Hockey Hall of Fame on November 13, 2017 . 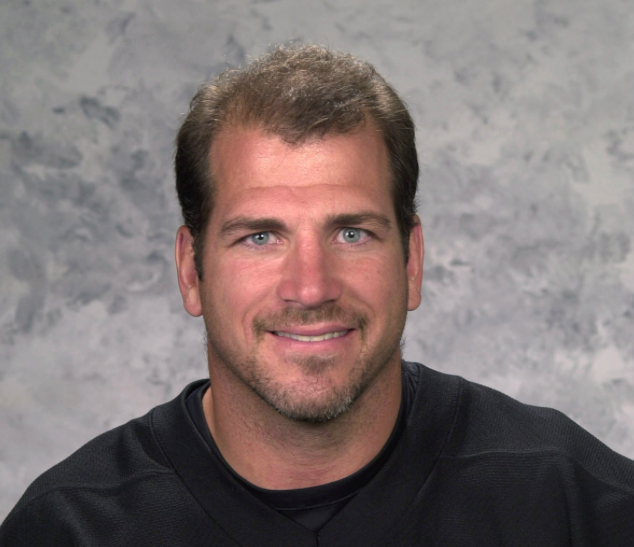 Recchi collected 1,533 points, which ranks 15th on the NHL’s all-time list. 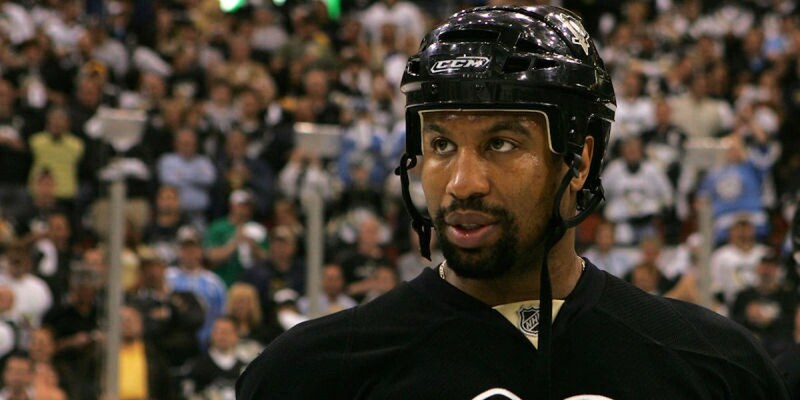 Over seven seasons with the Penguins, he played in 418 regular season and playoff games, where he scored 154 goals and 10 in the playoffs and won the first of his three Stanley Cup rings. 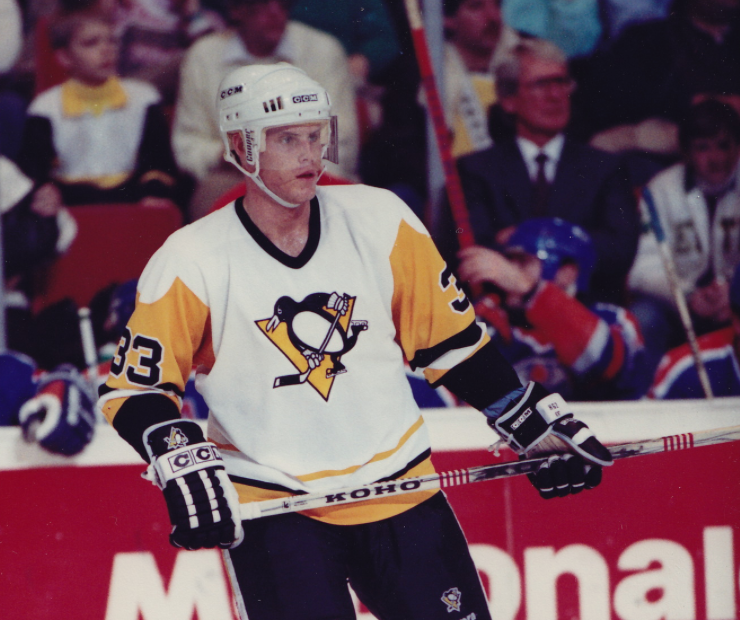 Reechi was drafted in the fourth round in 1988 by the Penguins, and made his debut against the Maple Leafs in Toronto. He scored his first NHL goal on January 20, 1989 against Winnipeg’s Pokey Roddick and would assist on eight other Penguins’ players first NHL goals, including Sidney Crosby and Evgeni Malkin. On January 26, 2007 against the Dallas Stars Marty Turco, Recchi became the third Penguins player to notch his 500th career goal with Pittsburgh (Mario Lemieux and Joe Mullen). In Game 6 of the 1991 Eastern Conference finals against the Boston Bruins, Recchi scored the game-winning goal to send Pittsburgh to its first Stanley Cup Final. 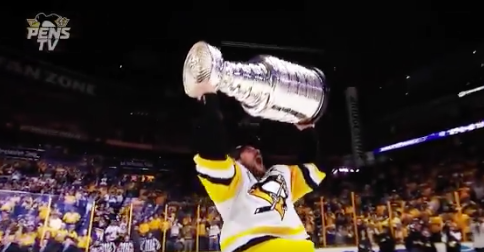 Reechi will be the 17th person with a connection to the Penguins to be inducted into the Hall of Fame and is the seventh player from the Penguins’ first Cup-winning team to be enshrined in the Hall. He will join Lemieux, Ron Francis, Bryan Trottier, Paul Coffey, Mullen and Larry Murphy. Erik Gudbranson is the 186th player to score a *postseason* goal for the Penguins. 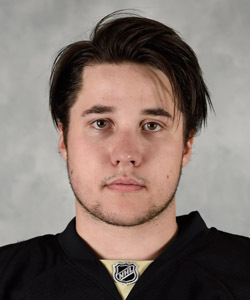 © 1999-2019 PittsburghHockey.Net ... "It's not Pittsburgh Hockey without the .NET"